El Patron Mexican Bistro offers traditional Mexican cuisine with a contemporary twist. The relaxing ambiance of the terrace and inside bar at this Los Cabos restaurant caters to both couples and families who wish to enjoy a delicious breakfast buffet or be surprised by the a la carte options. At night, our Chef's will amaze your palate with signature Mexican specialties that are full of flavor and tradition. El Patron also offers a wide selection of fine Tequila, Mezcal and boutique Mexican wines. El Patron was great for breakfast and with a great view! We enjoyed dinner there one night with Edie! He did a nice job. The view at night is beautiful! The menu at El Patron Mexican Bistro features a wide array of delicious spices and fresh ingredients that are exquisitely combined to deliver a mouthwatering experience for the palate. Guests can enjoy fine dining at this Mexican Bistro, one of the best restaurants in Cabo San Lucas, where local organic produce, bountiful catches from the Sea of Cortez, and only the finest of meats and poultry are perfectly blended to bring you traditional Mexican favorites and exquisite flavors from around the country. The Los Cabos dining experience at this open-air restaurant is simply sensational. Whether you’re starting off your day with a scrumptious breakfast or ending it with a divine dinner, you won’t be disappointed by the hearty meals, tempting desserts, and the varied wine list designed to accentuate the flavors of each and every dish. The chefs at El Patron Mexican Bistro, one of our finest Cabo San Lucas restaurants, are dedicated to delivering a mouthwatering experience for those who stay at Villa del Arco Beach Resort & Spa. Using innovative techniques and a distinct style, they create Mexican platters and fresh seafood dishes that show off the unique ingredients that are grown or caught locally. At El Patron, the chefs know that the way to one’s heart is through their stomach, which is why they have taken the time to plan a delicious menu that won’t disappoint. 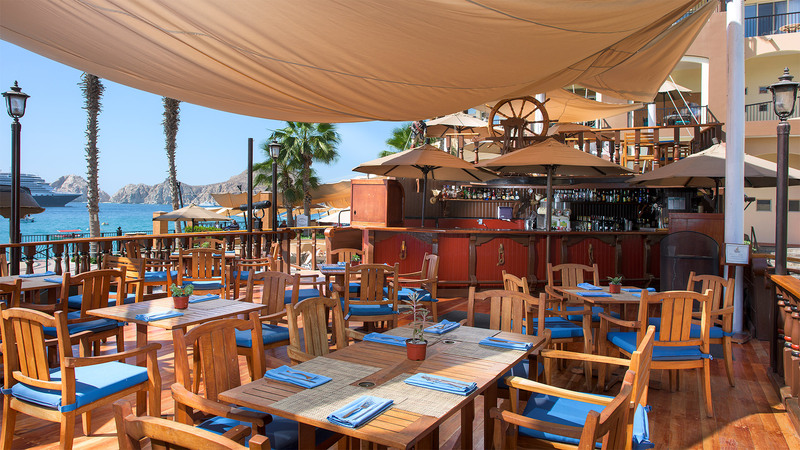 When looking for the top restaurants in Cabo San Lucas, look no further than El Patron at Villa del Arco Beach Resort & Spa, a fine dining restaurant that delivers a sensational feast in an al fresco environment. The elegant touches and classic decor of this Cabo San Lucas restaurant help to create a sublime ambiance for guests during both breakfast and dinner. 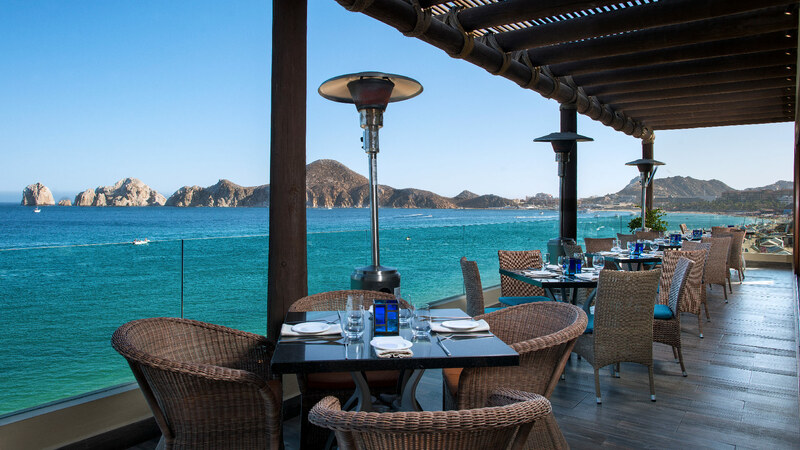 The breathtaking sights of Land’s End and the Sea of Cortez in the distance add to the experience, while the stellar service, heavenly ambiance, and delicious Mexican cuisine ensure that every minute of your meal falls beyond expectations. Espresso & Liqueur “43” on the rocks.